The Toyota manufacturing company has launched a latest model of car with the amazing features and great looking. 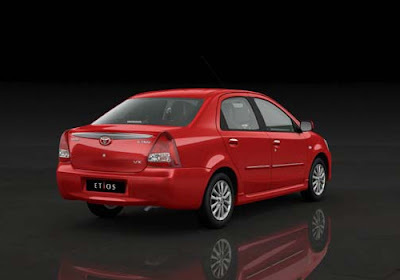 The name of Toyota latest model of car is Toyota Etios. The Toyota Etios can create a great sensation in the domestic automotive market of India. Now most of the people have done the bookings for the latest model of Toyota, named as Toyota Etios. 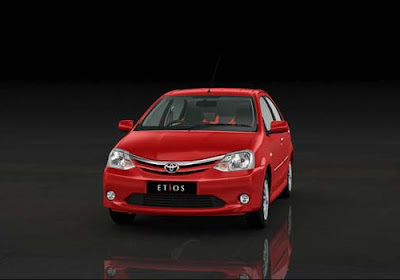 The new Toyota Etios can be delivered from the first week of January 2011. The most popular automotive manufacturing companies like Hyundai and Maruti are not worried about this. These two companies are known for the small segment car, the Hyundai and Maruti companies are looking so much confidence about their products and as well as about their share value of market. The Maruti car manufacturing company has cleared that the cost price of Maruti Cars will not reduce. It also stated that customers are not purchasing the Car of Maruti manufacturing company for the lowest price. Seventy percents of their customers are purchasing their cars because of their mouth policy. It is also true that the cost price of the Maruti manufacturing company cars are available at very lowest price in the market and also the cost price of their ownership is very low comparing to other competitive automotive manufacturing companies. Hyundai is also a well known car manufacturing company in the automobiles market. The Hyundai is known for the small segment of car manufacturing company. There are almost ninety percent of cars are small out of their total manufacturing cars. There are so many small car models of Hyundai automotive manufacturing company are available in the Indian domestic automobile market like, Hyundai Santro Xing, Hyundai i10, Hyundai i20 and many more. The Hyundai car manufacturing company is also searching to adopt the new identity of new corporate within the end of 2010 in the automotive domestic market of India. Now, the Hyundai manufacturing company has planned to implement its identity of the new corporate in its all Three hundred twenty outlets out of which, it would be executed two hundred four outlets within December 2010. The remaining of outlets will be implemented in next year. Both the Maruti and Hyundai automobile manufacturing company will be coming with their latest strong strategies and also the identity of new corporate. On the other hand the Toyota has planned to Release its latest model of car The New Toyota Etios sedan in the March month of next year.